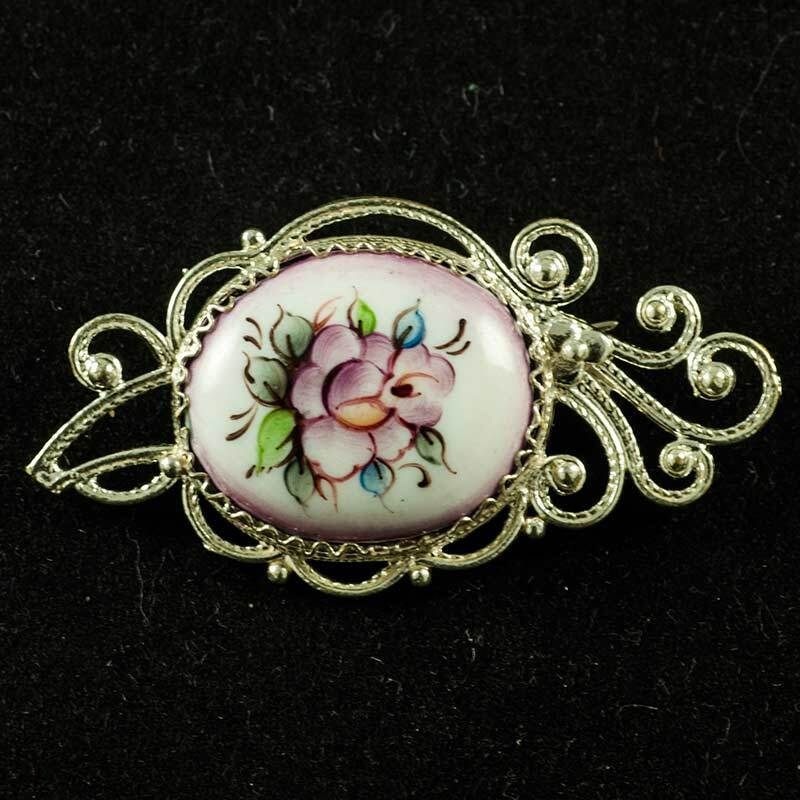 Finift Brooch Twig is a Russian enamel brooch which is made in accordance with technique of finift jewelry making in the art studio in Rostov town, the old center of this craft. 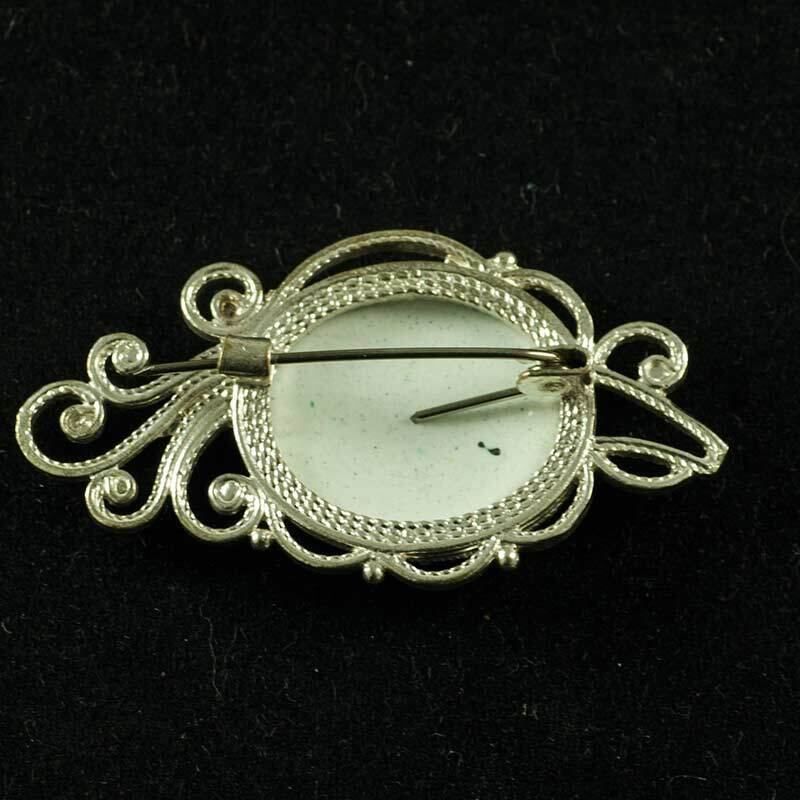 The base of the brooch is made in filigree of special alloy known as "German silver" or "melhior" which has high anti corrosion properties and which looks quite similar to silver. 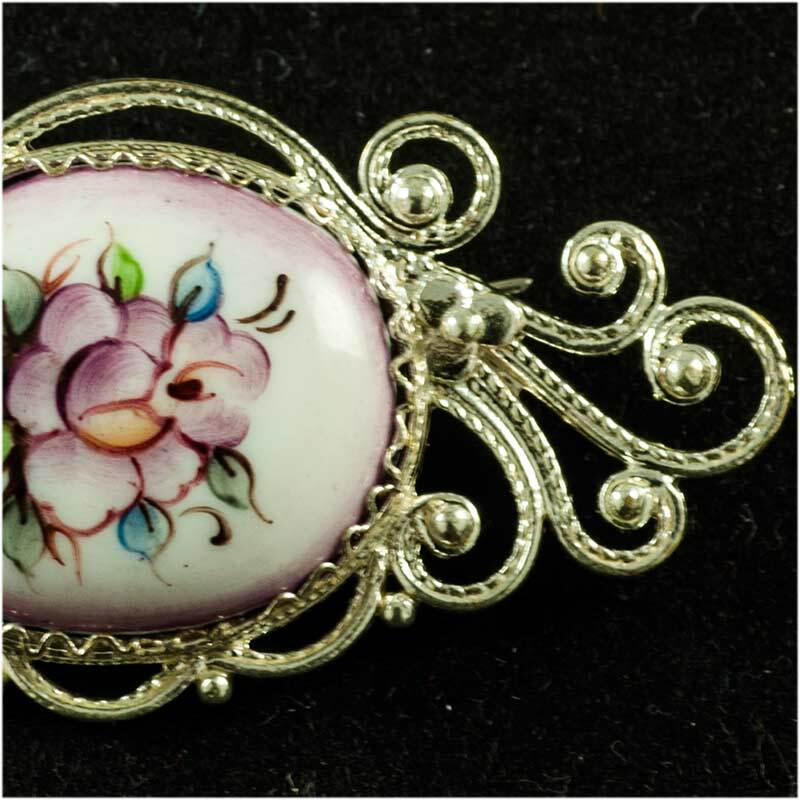 The enamel part of the brooch is painted in technique of so called "hot enamel" - special mineral paints are burnt in ovens under high temperature and always remain bright and fresh.